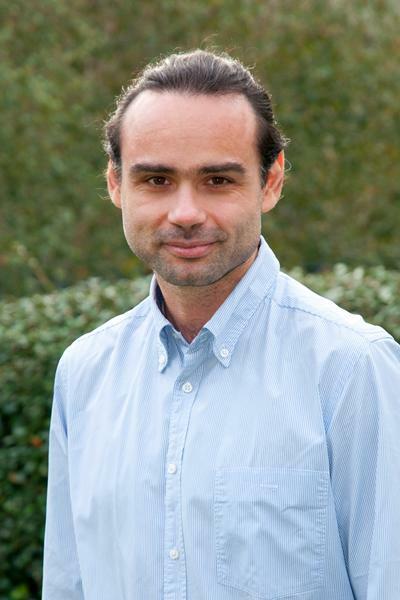 Professor Nikos Tzavidis is Head of Department of Social Statistics & Demography within Social Sciences: Social Statistics & Demography at the University of Southampton. I am a Professor of Statistical Methodology and Head of the Department of Social Statistics and Demography. My interest in Official and Survey statistics started when I joined Eurostat‘s Research and Development Unit after completing my MSc in Statistics. Since completing my PhD in Statistics I held posts at the Institute of Education, University of London and at the University of Manchester. My research expertise lies in the theory and applications of small area estimation. I further research topics in M-quantile and quantile regression, robust estimation for random effects models and in the analysis of complex survey, in particular multilevel and longitudinal, data. My research is supported by the European Union's 7th Framework Programme, the British Academy and the Economic and Social Research Council in the UK. I am the PI for the University of Southampton on the Small Area Methods for Poverty and Living Conditions Estimates (SAMPLE) and on the Inclusive Growth Infrastructure Diffusion (InGrid) projects both funded by the EU’s 7th Framework Programme. I have been also extensively involved in consultancy work for National Statistical Institutes and Government Departments in the UK (Office for National Statistics), Europe (Central Bureau of Statistics, Netherlands) and overseas (National Council for the Evaluation of Social Development Policy, Mexico). I am involved in delivering training courses. I teach postgraduate training courses in small area estimation, survey sampling, quantile and robust regression methods, generalised linear models, multilevel models and longitudinal data analysis. Recent invitations for delivering training courses include the National Statistics Office of Brazil (IBGE), the Australian Bureau of Statistics, (ABS), the National Statistics conference in Bogota, Colombia, the Free University Berlin, the National Statistics Institute for Applied Statistics, University of Woolongong (Australia) and the UK Office for National Statistics. In 2013 I was awarded a Vice-Chancellor Teaching Award for services to teaching statistics. I contribute part of my time for services to the statistics community. I am a fellow of the Royal Statistical Society, elected member of the International Statistical Institute (ISI) council member of the International Association of Survey Statisticians (IASS) and Associate Editor for the Journal of the Royal Statistical Society Series A, the Journal of Official Statistics and the International Statistical Review. I currently serve as an academic assessor for the UK Government Statistical Service Fast Stream Scheme and as the external examiner for the MSc in Social Research Methods and Statistics at the University of Manchester. Quantile random effects models, M-quantile models for binary and count data, quantile contextual value added models, robust models for small area estimation, poverty mapping, mean squared error estimation in small area estimation. Kreutzmann, A. K., Pannier, S., Rojas-Perilla, N., Schmid, T., Templ, M., & Tzavidis, N. (Accepted/In press). The R package emdi for the estimation and mapping of regional disaggregated indicators. Journal of Statistical Software. Fabrizi, E., Salvati, N., Pratesi, M., & Tzavidis, N. (2014). Outlier robust model-assisted small area estimation. Biometrical Journal, 56(1), 157-175. Fabrizi, E., Giusti, C., Salvati, N., & Tzavidis, N. (Accepted/In press). Mapping average equivalized income using robust small area methods. Papers in Regional Science. Giusti, C., Tzavidis, N., Pratesi, M., & Salvati, N. (Accepted/In press). Resistance to outliers of M-quantile and robust random effects small area models. Communications in Statistics - Simulation and Computation. Flouri, E., Mavroveli, S., & Tzavidis, N. (Accepted/In press). Cognitive ability, neighborhood deprivation, and young children’s emotional and behavioral problems. Social Psychiatry and Psychiatric Epidemiology. Chambers, R. L., Chandra, H., & Tzavidis, N. (2011). On bias-robust mean squared error estimation for pseudo-linear small area estimators. Survey Methodology, 37(2), 153-170. Salvati, N., Pratesi, M., Tzavidis, N., & Chambers, R. L. (2009). Spatial m-quantile models for small area estimation. Statistics in Transition, 10(2), 251-267. Tzavidis, N., & Panaretos, J. (2001). Aspects of estimation procedures at Eurostat with some emphasis in the over-space harmonisation. Athens, Greece: Department of Statistics, Athens University of Economics. Fabrizi, E., Giusti, C., Salvati, N., & Tzavidis, N. (2014). Small area estimation using geographically weighted robust regression. An application to the mapping of average equivalized income. In J-C. Thill (Ed. ), Spatial Analysis and Location Modeling in Urban and Regional Systems (Advances in Geographic Information Science). London, GB: Springer. Tzavidis, N., Marchetti, S., & Donbavand, S. (2013). Outlier robust semi-parametric small area methods for poverty estimation. In G. Betti, & A. Lemmi (Eds. ), Poverty and Social Exclusion: New Methods of Analysis (Routledge Advances in Social Economics). London, GB: Routledge. Würz, N., Schmid, T., Smith, P. A., & Tzavidis, N. (2017). Construction of regional consumer price indices using small area estimation. Poster session presented at Statistische Woche, Rostock, Germany. Tzavidis, N., & Chambers, R. (2005). Multiquantile diagnostics for multilevel models. Paper presented at 55th Session of the International Statistical Institute, . Tzavidis, N. (2004). Using double sampling to correct gross flows for misclassification error: moment-based inference vs. likelihood-based inference. Paper presented at JSM 2004: Statistics as a Unified Discipline, . Tzavidis, N. (2003). Estimating labour force gross flows under misclassification and double sampling. 546-547. Paper presented at 54th Conference of the International Statistical Institute, . Tzavidis, N., & Lin, Y-X. (2004). Estimating from Cross-sectional Categorical Data Subject to Misclassification and Double Sampling: Moment-based, Maximum Likelihood and Quasi-Likelihood Approaches. (S3RI Methodology Working Papers; No. M04/03). Southampton, UK: Southampton Statistical Sciences Research Institute. Wheal, A., Berkley, R., Beissel, G., & Tzavidis, N. (2002). Education for real: guidance and support for care leavers in education. A summary of research findings. Southampton, UK: University of Southampton. Marchetti, S., Tzavidis, N., & Pratesi, M. (2011). Non-parametric bootstrap mean squared error estimation for m-quantile estimators of small area averages, quantiles and poverty indicators. (S3RI Methodology Working Papers; No. M11/02). Southampton, GB: Southampton Statistical Sciences Research Institute. Chambers, R., Chandra, H., Salvati, N., & Tzavidis, N. (2011). Outlier robust small area estimation. (Southampton Statistical Sciences Research Institute Working Paper; No. M11/07). Southampton, GB: Southampton Statistical Sciences Research Institute, University of Southampton. Tzavidis, N., Salvati, N., Geraci, M., & Bottai, M. (2010). M-Quantile and expectile random effects regression for multilevel data. (S3RI Methodology Working Papers; No. M10/07). Southampton, GB: Southampton Statistical Sciences Research Institute. Tzavidis, N., & Chambers, R. (2006). Bias Adjusted Estimation for Small Areas with Outlying Values. (S3RI Methodology Working Papers; No. M06/09). Southampton, UK: Southampton Statistical Sciences Research Institute. Chambers, R., & Tzavidis, N. (2005). M-Quantile Models for Small Area Estimation. (S3RI Methodology Working Papers; No. M05/07). Southampton, UK: Southampton Statistical Sciences Research Institute. Tzavidis, N. (2004). Correcting for misclassification error in gross flows using double sampling: moment-based inference vs. likelihood-based inference. (pp. 1-33). (S3RI Methodology Working Papers; No. M04/11). Southampton, UK: University of Southampton.